Came into game a few days ago to find all bases, everything gone only our avatars remain. What did u do? After being active on server for 1-2 years. Was promised "NO WIPES" yet here we are. Need admin assistance. Had to start over with character. Please restore. 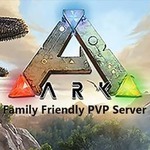 I am sorry to hear of your loss, but you might want to look at the server rules which have been in place from day one. While we do not have server wipes we have always had decay timers and auto destroy timers active so if your stuff is gone that means you did not log in within the allowed time to reset your timers. So the question is "what did YOU do?". Once your structures and dinos are destroyed there is no getting them back so unfortunately your only two options are, start over or move on to another server. Either way it might be a good idea to read a servers rules before playing on it to avoid unpleasant situations like this.